Holster Girl are proud to offer the famous Barsony Horizontal Black Leather Shoulder Holster for Full Size 9mm 40 45. With so many on offer right now, it is good to have a name you can trust. The Barsony Horizontal Black Leather Shoulder Holster for Full Size 9mm 40 45 is certainly that and will be a perfect purchase. For this great price, the Barsony Horizontal Black Leather Shoulder Holster for Full Size 9mm 40 45 comes widely respected and is a popular choice with most people. 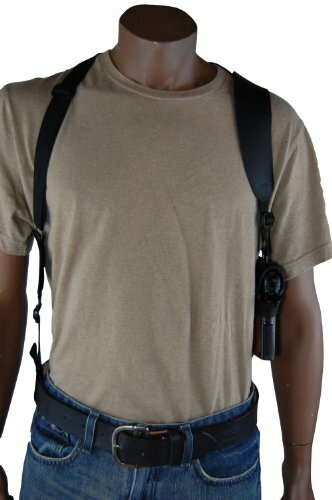 Barsony Holsters and Belts have included some excellent touches and this means great value for money. New Barsony Horizontal Black Leather Shoulder Holster for Full Size 9mm 40 45. Precision stitching, lightweight (only 9oz) and is made in Beaverton, Oregon USA. 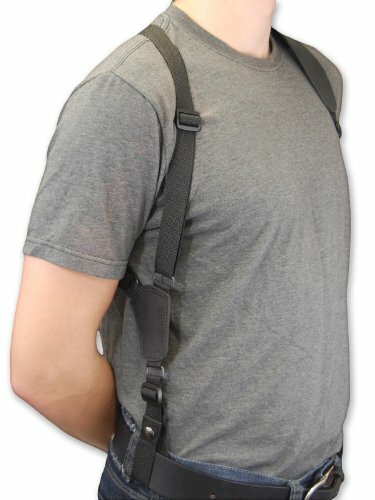 This is the most comfortable shoulder holster for Full Size 9mm .40 .45 Semi-Auto Pistols. This traditional shoulder holster has wide flat shoulder pads made from durable leather which grabs your clothing. The holster has a tunable / adjustable retention strap. 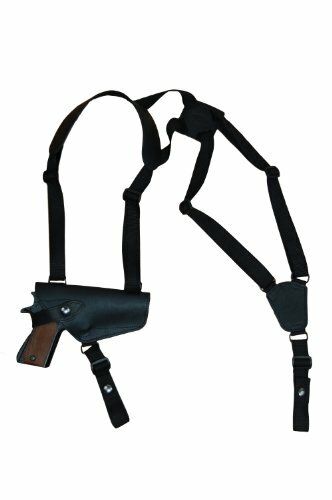 The harness offers four way size adjustment for a perfect fit and 2 way height adjustment for your semi-auto. The straps are fully adjustable for all day comfort. 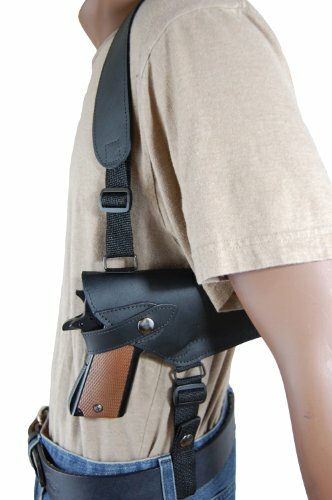 This holster has belt or belt loop tie down on BOTH SIDES. Fits: 9mm .40 .45 caliber semi-autos from 4-5.5" barrel length. Is adjustable UP TO chest size 62". If you are right-handed the holster will go under your left arm and if you are left-handed the holster will go under your right arm. The photos show a right-hand draw shoulder holster.